Several top White House aides — including former chief strategist Steve Bannon and the former deputy assistant to the President, Sebastian Gorka — have failed to file legally-required financial reports after their dismissals this summer. Former chief of staff Reince Priebus, who left in July, filed his report this week after the McClatchy news service requested his form multiple times and reached out to him for comment. But at least four other senior staff did not outline their financial activity while serving in the White House. 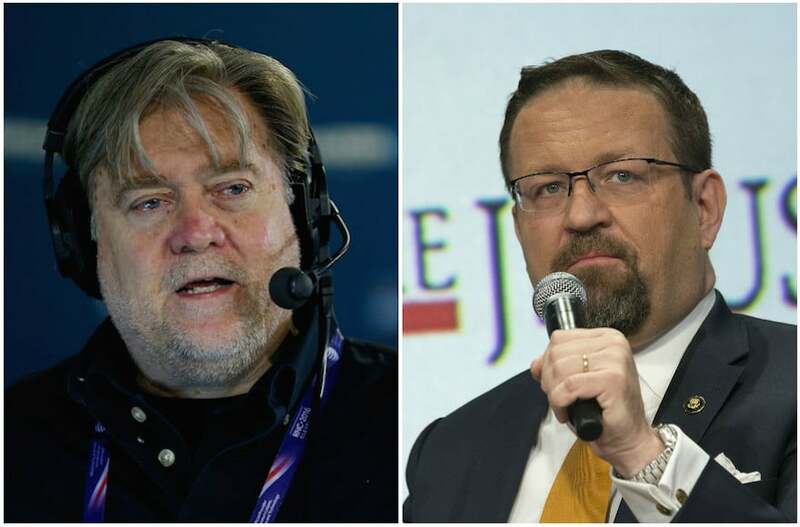 Bannon and Gorka are joined by their allies Ezra Cohen-Watnick, senior director for intelligence programs for the National Security Council for seven months, and the NSC’s Middle East advisor Derek Harvey, who served six months. There is a 30-day deadline to declare finances after departing the White House. Spokesman Arthur Schwartz said in an e-mail that Bannon — who has returned to his post as executive chairman of the hard-right attack site Breitbart — did file. However, he did not provide the timing, and White House records on Wednesday showed that no declaration had been made. Cohen-Watnick said that he had not been notified that he was required to file and was only given the necessary information to file his report on Wednesday. The revelations add to concerns about ethics violations and conflicts of interest within the White House, beginning with Donald Trump and his family, some of whom are senior advisors. Both as candidate and as President, Trump has refused to show his tax returns. Officials, including Trump’s son-in-law and top advisor Jared Kushner, have retained business interests while filing disclosure forms belatedly. Bannon was supposed to sell his $1 million to $5 million stake in the company Cambridge Analytica — which was backed by billionaire Robert Mercer and provided data analysis and voter targeting for the Trump campaign — while he served in the Administration. Michael Flynn, the former National Security Advisor, was not required to file a termination report because he was fired after only 24 days, over his contacts with Russian Ambassador Sergei Kislyak. Flynn is a high-profile subject of the Trump-Russia inquiry, including the extent of his consultancy’s work for clients which included Russian and Turkish interests. their tenures were so brief.